Light-Tech Inc. had the recent privilege of lighting up Trenton Doyle Hancock’s art work at the Hermann Park train tunnel. 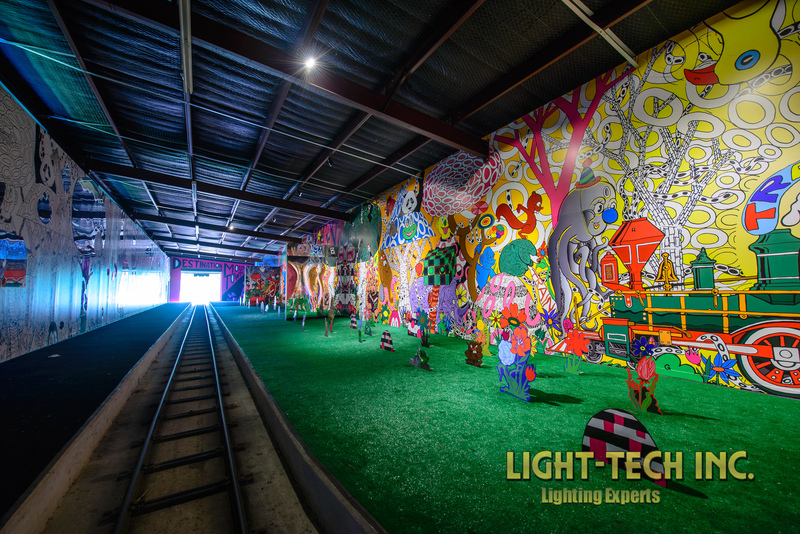 We have many years of experience installing art lighting big and small and loved every minute of lighting this beautiful work that is seen by thousands of visitors. This particular art lighting installation uses energy efficient LED lighting. Call us today for your art lighting installation and adjustments. Copyright © 2019 Light-Tech Inc.